After two years of transcription and preparation, a unique book has been released that will be of interest to a variety of history buffs, including Zehr, Heiser, and Schrock descendants, as well as those eager to read stories of Mennonite families of almost one hundred years ago. Following is a description of the book and excerpts from both diaries. At the end, you will find directions for ordering your own copy. 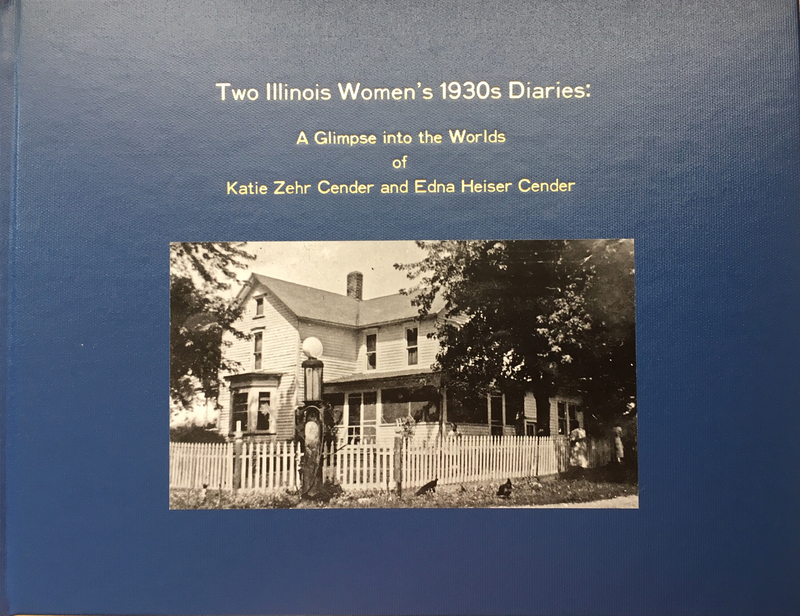 These unique diaries of two Illinois farm women, Katie Zehr Cender (1877-1944) and Edna Heiser Cender (1918-1996), provide details about rural Mennonite life during the years of 1936-1940. Newly accessible as a window into the 1930s, the diaries will likely be of interest to many descendants of John and Katie Zehr Cender and J.A. 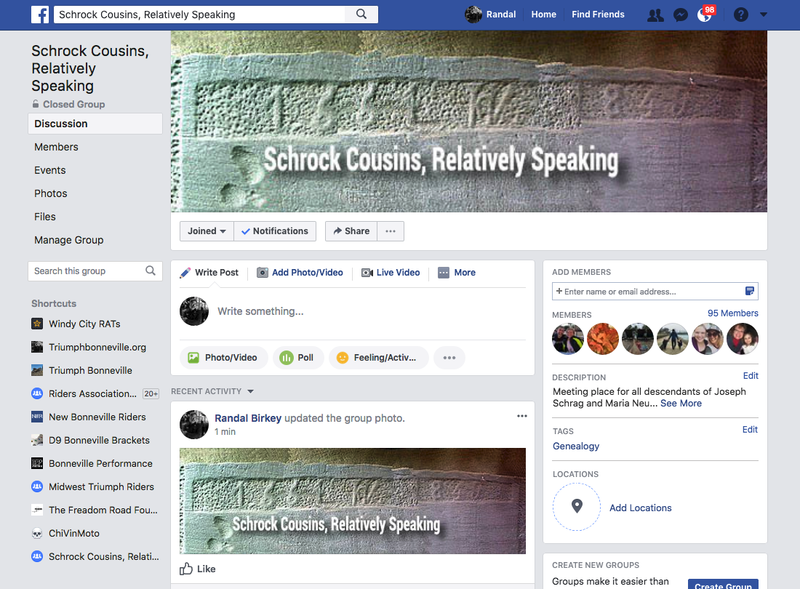 and Fannie Schrock Heiser as well as to others interested in primary material about a close-knit church and farm community in northern Champaign County, state of Illinois. The fact that Katie and Edna became mother-in-law and daughter-in-law adds another layer of interest, as well as the fact that these six diaries are their only extant writings for that time period. Katie’s daily diaries (1937, 1938 and 1939) offer a basic, chronological accounting of everyday events and people, and Edna’s diaries (1936, 1939 and the first three months of 1940) present a more expressive record including commentary on the self as well as on events in the larger world. Both diaries in this publication have been transcribed and published essentially word-for-word, with occasional minor corrections for spelling and language usage. The book includes over 80 photographs and is edited by Kathryn Cender Martin with introductions and reflections by Mary Cender Miller, both daughters/granddaughters of Edna and Katie. An appendix is also included containing genealogical charts and closing reflections. 272 pages. Although for years I have had in my possession the 1939 diary of my paternal grandmother, Katherine (Katie) Frances Zehr Cender (1877-1944), of rural Fisher, Illinois, I never could get into it. I would read a page and be instantly bored: temperature, weather, hired man at noon meal, trips into town for groceries and “business,” laundry, ironing, chores, fieldwork. Katie did not skip a day of this stuff throughout the year…I began to type out January just to see if there was anything quotable, and, sticking at it, suddenly the magnitude of the whole became more evident. I saw that the reader could not help but be pulled into the rhythm of Katie’s daily schedule. Further, that right there among her ubiquitous activities, a scintillating jewel would occasionally catch the reader’s eye. Further, what Katie neglected to explicitly record, was often there to be inferred. It was pretty interesting, after all. January 1, 1938, Saturday — 30 Degrees, Sunshine and cold northwest wind it thawed some this PM. Lelia has a cold on her chest, she is hoarse she didn’t go outside all day. Alva cleaned out the barn, and Nattie [Fresh Air boy] tried to help him, then the horses got scared and ran thru the field and broke the double tree. How thankful I am this New Years day that no one got hurt. Alva also hauled a load of cobs in the basement. Lelia is teaching the Sunday School lesson to Nattie this eve. We celebrated our New Year at home. Reading Edna Heiser Cender’s 1936 and 1939-40 diaries, and having grown up as one of her six children, and having heard pieces of some of the stories and circumstances she relates, I nevertheless felt quite a bit of shock and dismay, particularly as I slipped into 1936 and met my eighteen-year-old mother for the first time. Some of her depressive mood passed right off the page, and yet, I knew that within the limitations of her home environment and her community’s culture, she was holding up pretty well…. What is it like when young people in their teens have such strictly proscribed lives, especially people like J. A. and Fannie Schrock Heiser’s children with lively minds and keen intellects? To be deprived of high school, to have to be at home day in and day out, to not experience the academic stimulation of schoolwork, to miss out on social interaction with four years’ worth of peers in a social setting so different from that of church? Edna tells us. January, 1936, Friday 10 – Another year has dawned. We’re supposed to start out with a clean sheet, forget the past as if it never happened, and strive to a better standard of living and some more of such tommy rot. But – I’m just going on right through, it’s merely a continuation of last year and the year before and so on. I for one will not forget the past, I rather live in it, but I too want to strive to a higher aim. New Years day we spent in hard work. The Sunday school committee met here in the evening. Eunice came out on Thursday. That evening we went to Elmer Springers. We had candy and apples. Friday night the Literary committee was to meet here. Fern Zehr and Chet didn’t come so it was just Joe and Dutch. It didn’t take us very long to appoint the committees. And that was all. The books are priced at printing cost. Copies of the books could be delivered by Kathryn Cender Martin in Champaign County. Out of state orders, including multiples, will fit into postal flat rate boxes.